It doesn't look like much but it took me until 1:30 last night to get this done. I pulled out my entire stash and went through every bit of it. 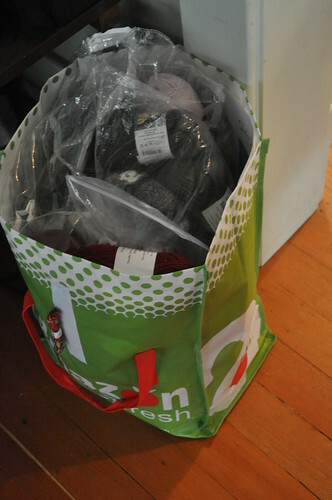 I put together a bag of yarn to sell or give away. 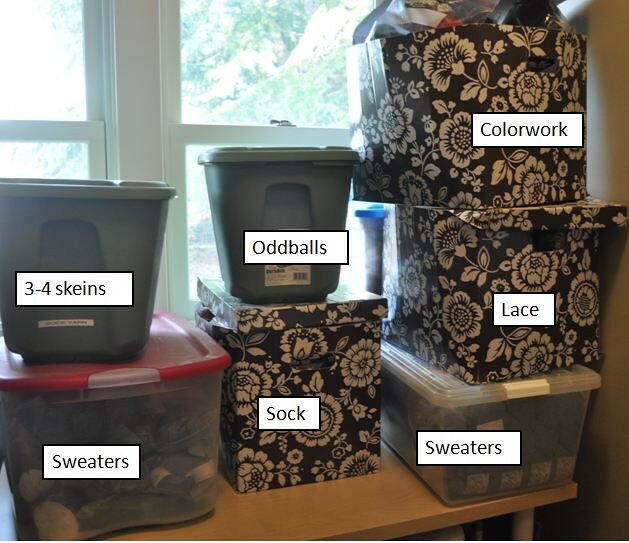 I reorganized my stash as you can see above. Sweater quantities, sock yarn, lace yarns (or yarns I plan to use for lace knitting), yarns I plan to use for colorwork, random oddballs and yarns that I have 3-4 skeins of and don't know yet how I'll use them. I also created a bag (on the left) for single or partial skeins of yarn that I've paired with projects in my queue on Ravelry. I even went through my queue and tagged them all "oneskein." 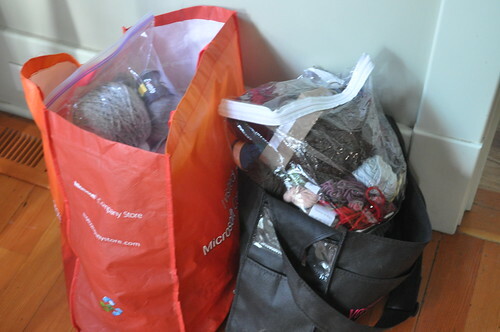 The bag on the right has a few two-three skein projects plus all my worsted scraps for making helix hats.